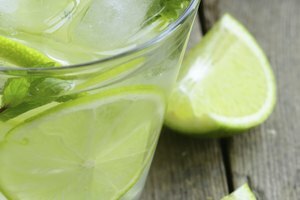 Can You Use Mint Extract in Mojitos? The world of craft mixology often calls for the freshest ingredients, such as fresh mint leaves for making mojitos. Sometimes a need for convenience or budgetary restraints preclude the choicest and most ideal ingredients for your mixed drinks -- meaning you'll just have to make do with whatever's around. When fresh mint can't be had, mint extract can provide the necessary zing for your mojito. It also has a lengthier shelf life and an overall cheaper price tag than mint leaves. For all of its complex flavors, including the peppery sweetness of mint, the sugary tartness of sweetened lime juice and the subtle burn of light rum, a mojito has a deceptively small number of ingredients. In addition to mint leaves, mojitos also contain light rum, simple syrup, lime juice and club soda. 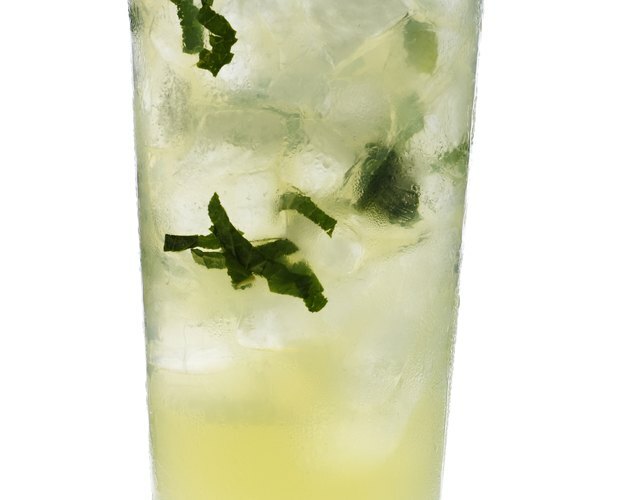 To make a mojito, muddle or mash a couple of mint leaves and a few dashes of simple syrup with a pestle or muddler. Add a shot of rum and a few splashes of lime juice, then top with club soda and garnish with a lime and more fresh mint. Although the two ingredients, fresh mint and mint extract, may differ only slightly in flavor, they are very different when it comes to potency. Only a trace amount of mint oil and flavor is released by muddling mint leaves, but mint extract maintains a powerful enough flavor that only a drop or two can infuse a greater volume. Anywhere from 1/4 to 1/2 teaspoon of mint extract can be successfully substituted for a full tablespoon of cut and compacted mint leaves. 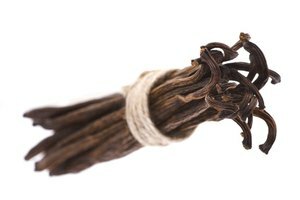 Mint extract, like other extracts, should be mixed sparingly so as to not overpower the other flavors. Substituting mint extract for actual fresh mint in mojitos requires a little caution and a lot of attention because of the extract's strength. A meticulous and involved way to prepare the drink with mint extract is to daub a little extract on a lime slice, straw or even your finger, moisten the bottom and rim of the glass with the extract-covered object, then add the other ingredients. Another way to make mojitos with the extract is to infuse either the rum or the simple syrup -- a concoction of equal parts sugar and water -- with the extract. This method works best if you are making mojitos for larger crowds. For times when neither fresh mint or mint extract are available, you still have a few alternatives. Peppermint extract, though spicier than mint extract, will give mojitos the necessary zing. Likewise, fresh peppermint and spearmint can sub for fresh mint in the same amounts. 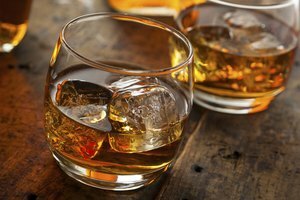 A few other choices include mint-infused and flavored rums as well as mint and peppermint liqueurs and schnapps. For mojitos with flavored rums, pour the same amount as the required amount of light rum. 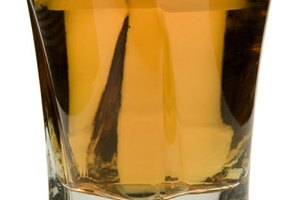 When adding mint or peppermint liqueur, only add a splash or two because the liquors' flavors are extremely strong.